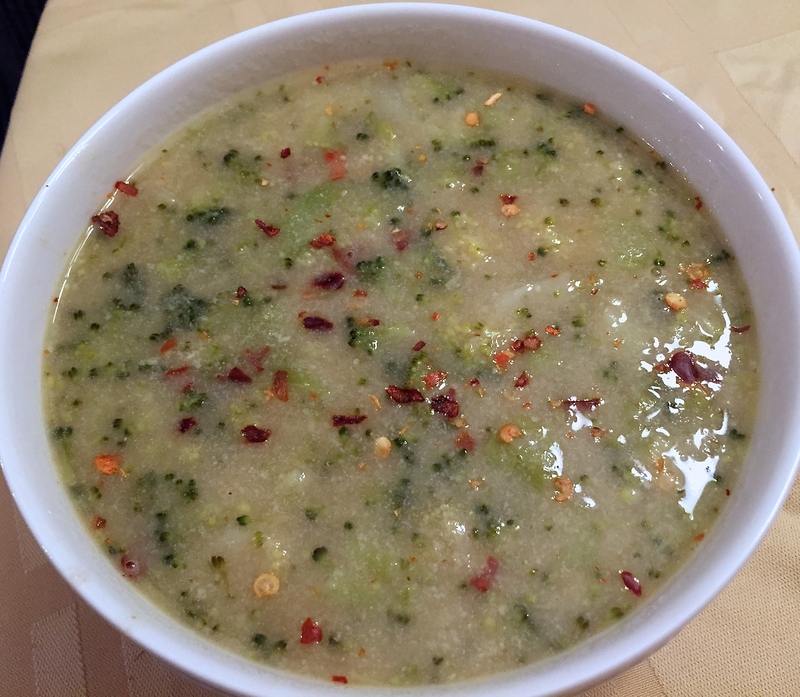 There are several variations to broccoli soup, and this is one of easiest. This is what you want on a cold winter night – a hot, comforting, wholesome bowl of soup. Plus it’s easy to make, you need just a few ingredients that are probably in your fridge. 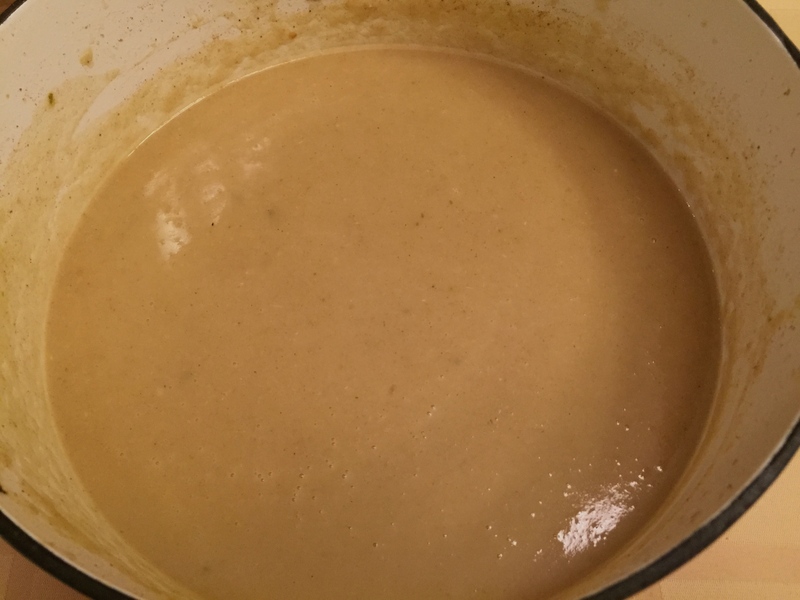 In a heavy bottomed pot, melt butter over medium-high heat. 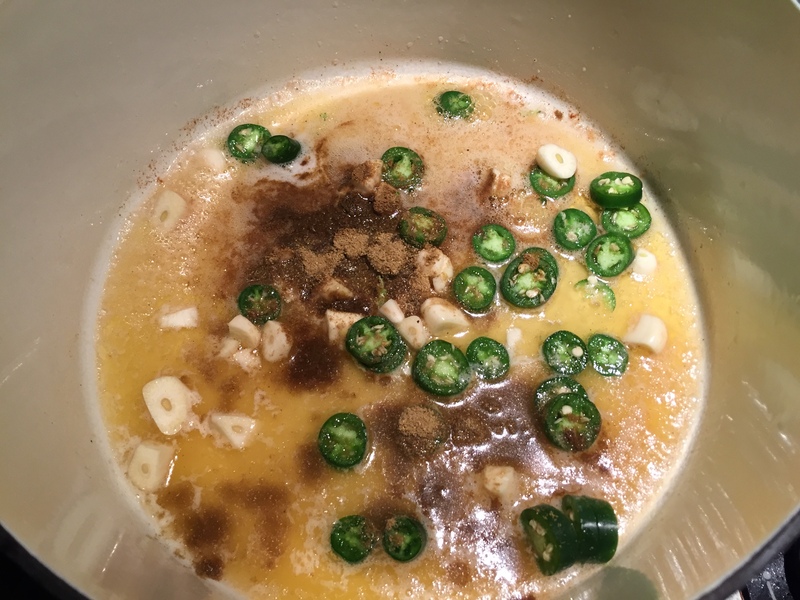 Add the serrano, garlic, cumin and coriander powders. Sauté for 2 minutes. 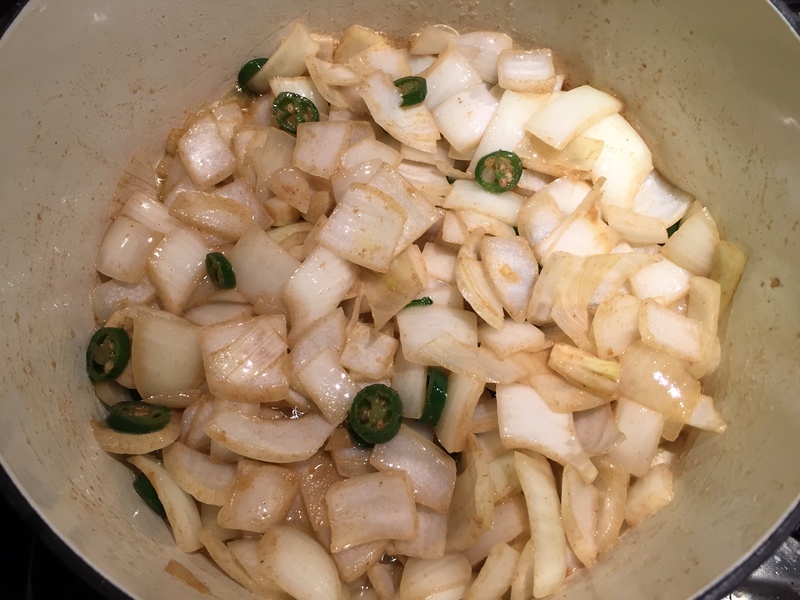 Add the chopped onions and cook for another 6-7 minutes until the onions have softened and turn translucent. 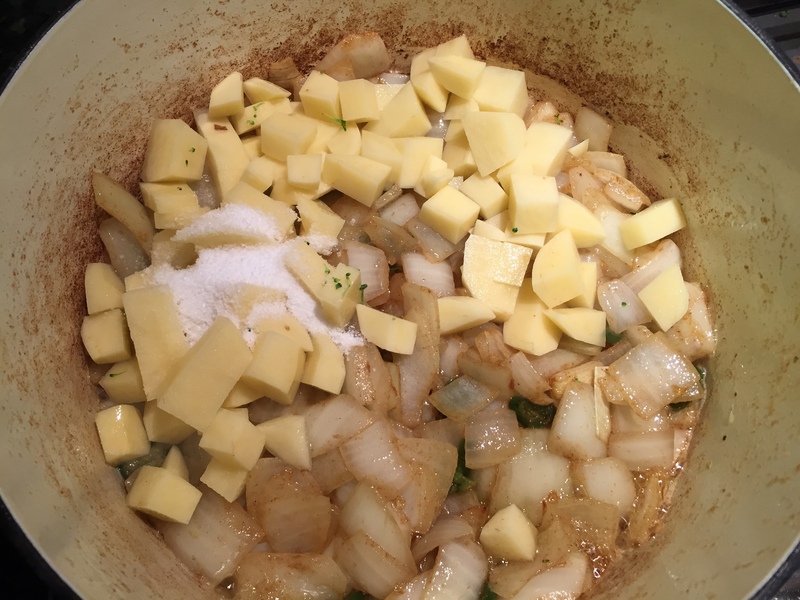 Add the chopped potatoes with one tsp salt. Cook for 2-3 minutes. 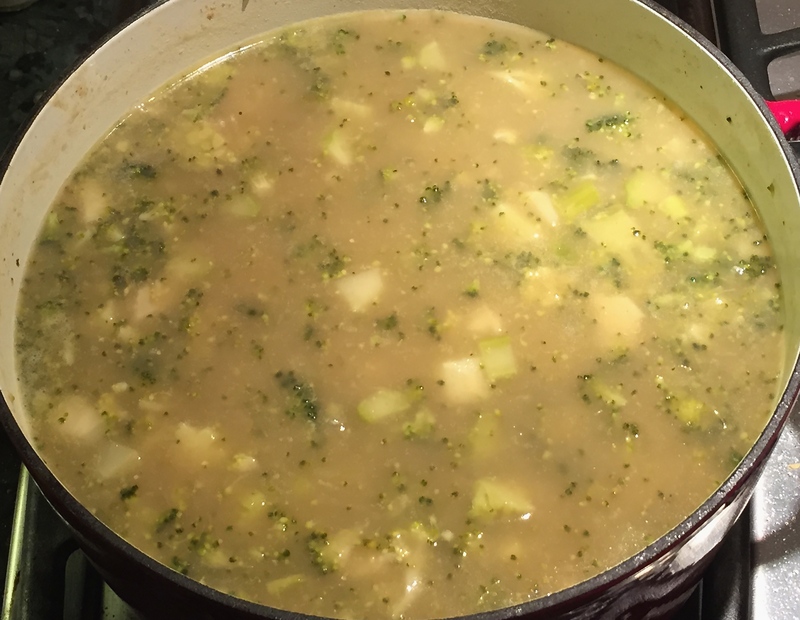 Pour in four cups of vegetable broth and bring this mixture to a boil. Drop the heat to low and cover. Simmer for 20 minutes. In the meanwhile, tear the broccoli head into florets. Chop off any tough stems. The tender parts of the stems can stay on given they are going into a soup and will cook through. Roughly chop the florets into even sized pieces. 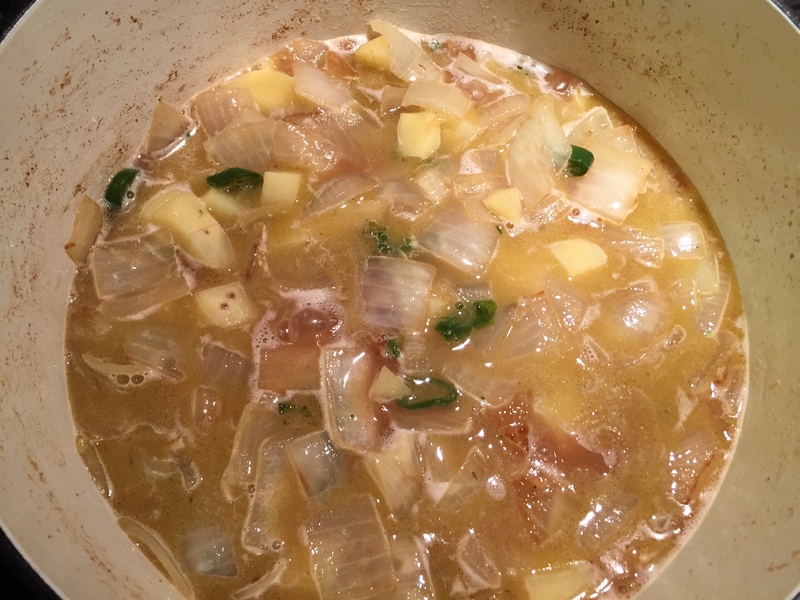 Make sure the pieces are not too small, when cooked this needs to be a bit chunky and offer some texture to the soup. Uncover the onion potato mixture and check for doneness. Use the stirring spoon and try to mash a piece of potato, it should easily break apart and be completely cooked through and very soft. Cook for additional 5 minutes if you aren’t there yet. Use a hand blender and make this into a smooth puree. 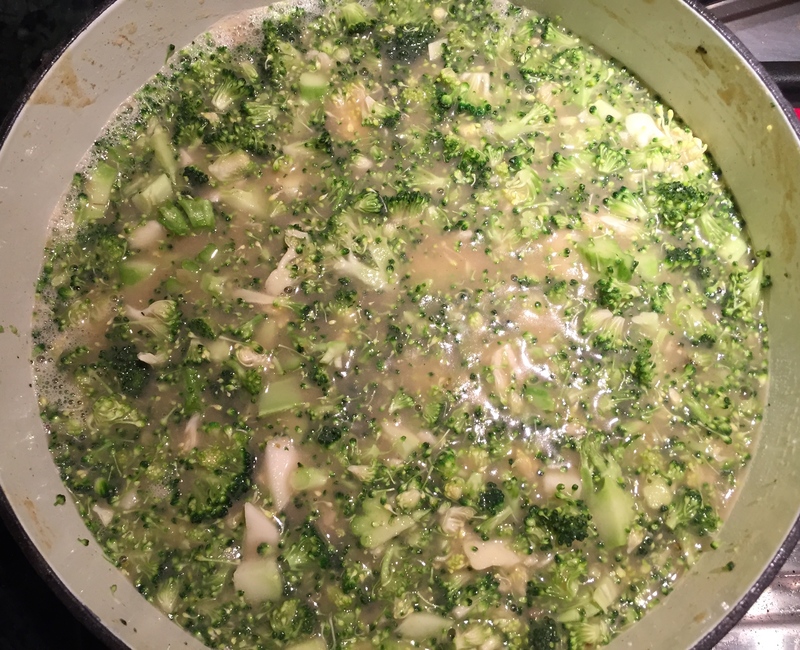 Add the chopped broccoli and the remaining tsp of salt, along with the remaining 4 cups of vegetable broth. 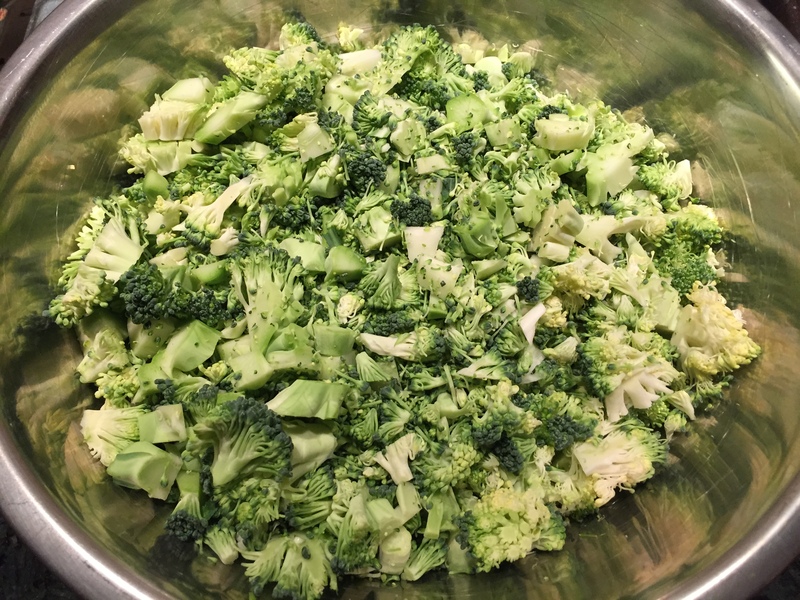 Cover and cook on low heat for another 20 minutes, or until the broccoli is tender. 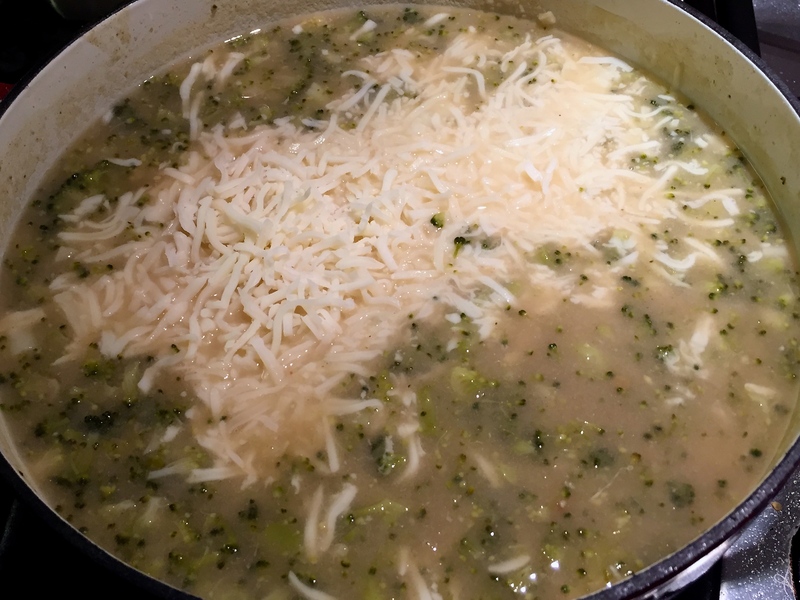 Add the half and half and the shredded mozzarella. Mix well, and let simmer together for another 2-3 minutes. Remove from heat, serve with your favorite bread. Optionally, you can garnish with some crushed red peppers for some additional heat.